Are you going after what sets your soul on fire? Daily life tends to get in the way of following your heart. Most of us are busy and just trying to fit in a bit of quiet time. We all make efforts to stay connected to ourselves and our passions, but it’s not always easy. You deserve to have the tools + support to work smarter, not harder. Learn how to rest without guilt when you need to. Practice the type of selfcare that allows you to stay tuned-in to your mind and body each day. And ultimately: live a spirit-led life. Wholehearter Yoga is a home-based yoga studio, setting souls on fire since 2012. The current shed, getting a new roof! The studio exterior will be adorable in no time...just needs a bit of paint and cleaning! Inside the studio, a dividing wall was removed as well as most of the floor. This space is full of exciting potential! 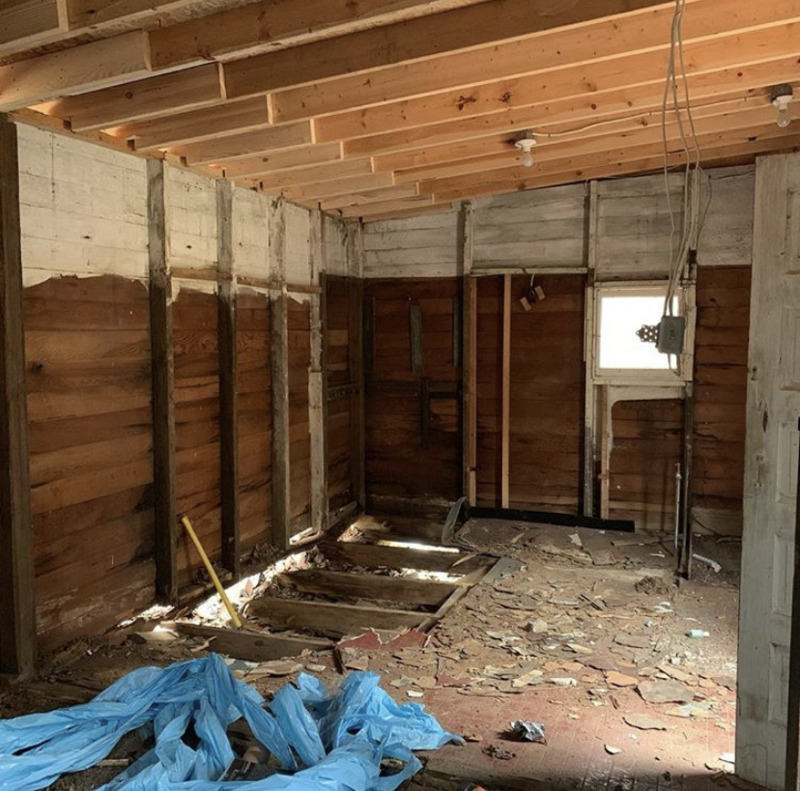 Relocated in January 2019, the new woodland studio is under construction in Ligonier! Follow construction progress on Instagram at @ournookofthewoods as our cabin + little yoga shed transforms. Specializing in private coaching, Skype yoga sessions, & outdoor yoga hikes throughout the Laurel Highlands. I'm a yoga sharer, graphic designer, nature-lover and mentor to fellow entrepreneurs. I use yoga along with my own brainstorming techniques and enthusiasm to inspire my students step boldly after the pursuit of their dreams. I love bringing my creativity in to private sessions with an eclectic mixture of yoga movement and philosophy, energy healing, Traditional Chinese Medicine, discussion and life-coaching techniques. Together, we uncover the layers to reveal the body as a metaphor for healing. My goal is always to leave you feeling empowered, inspired, and motivated to live wholeheartedly. If you’re interested in cozy and quiet nature-based practices in a small, private woodland setting, sign-up below! I’ll let you know when the studio space is ready for you. Want to learn more about how I can help you or have some questions to see if we’re a good fit? I’d love to hear from you! If you’re interested in private yoga sessions, please read this first.